The Paleo diet is all about returning to non-processed, natural food sources, and these snacks totally fit the bill. While many of the foods on the Paleo list may seem like they are designed for full meals only, there are countless delicious and healthy Paleo snack ideas to try — you just have to think outside of the pre-packaged snack box. 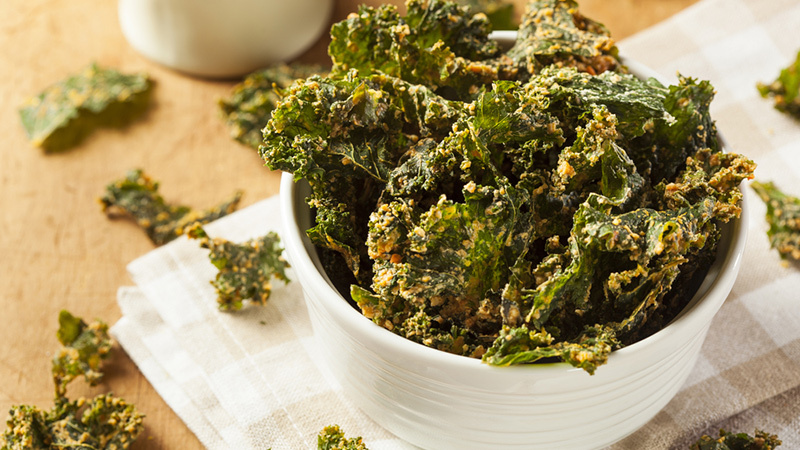 Here, we’ve picked some of our favourite Paleo snack ideas and best paleo snack recipes for you to munch on. These chicken wings are Paleo-friendly and oh-so-juicy. 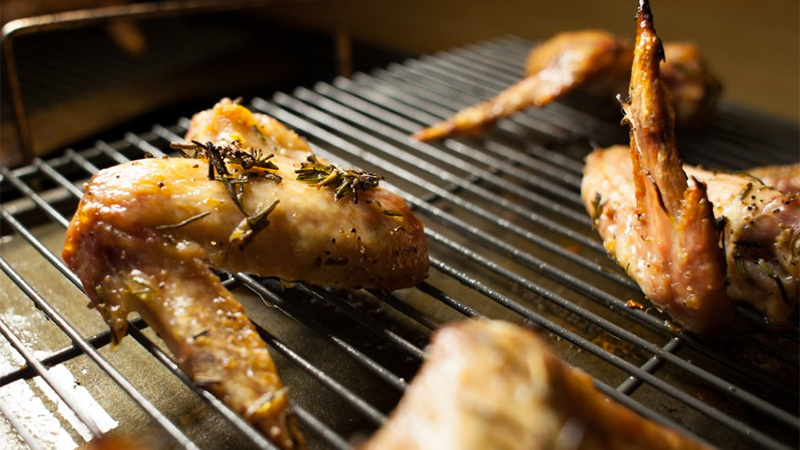 Whip up these delicious wings before the big game; we bet nobody will even guess their paleo! Why not make some tangy Paleo Buffalo ranch dip while you’re at it? Get the recipe here. This classic, easy-to-make Italian snack is equal part sweet and salty, and requires zero cooking. Just slice up a ripe melon and wrap up the chunks ss in prosciutto and voila! You’ve got an elegant dish that is sure to impress your guests. 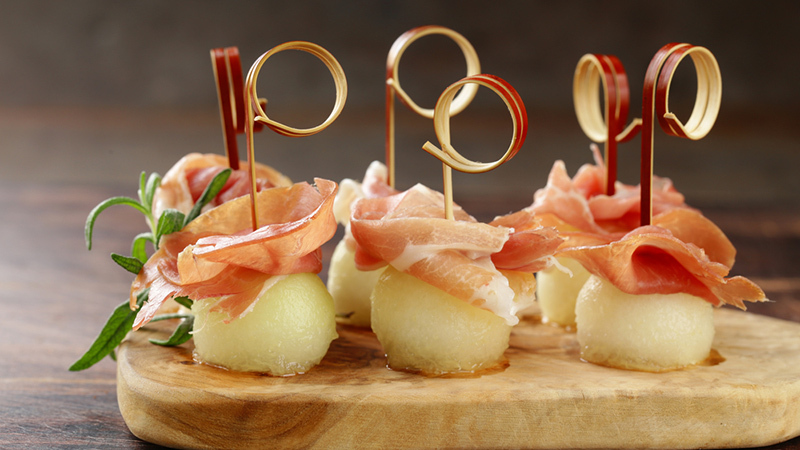 Choose natural prosciutto with no nitrates or added ingredients (should read pork and salt and nothing else) to keep this snack Paleo-friendly. A fantastic substitute for starchy potatoes, cauliflower can be cooked and then pureed in a food processor to make a fluffy mash. 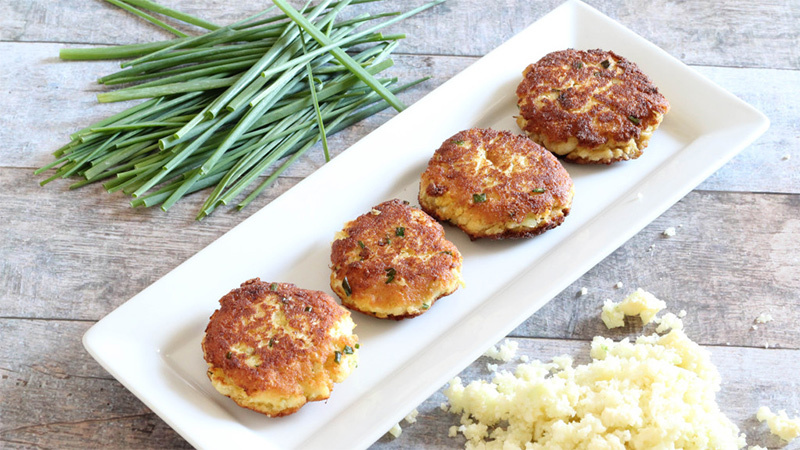 Melted ghee (or coconut oil), chopped chives, garlic powder, coconut flour, eggs, and salt combine to delicious, moist cakes with a crunchy outer layer and a soft, chewy inside. A crowd-favourite, these little devils will make sure you’re the talk of your next dinner party. 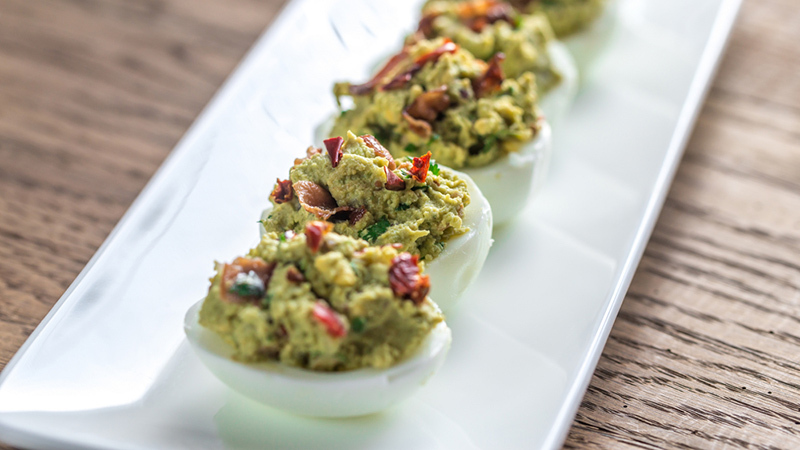 Mash hard-boiled egg yolks with avocado, garlic powder, cilantro and add some paleo approved bacon and you’ve got yourself one seriously souped up, green devilled egg recipe. Bet you can’t eat just one! 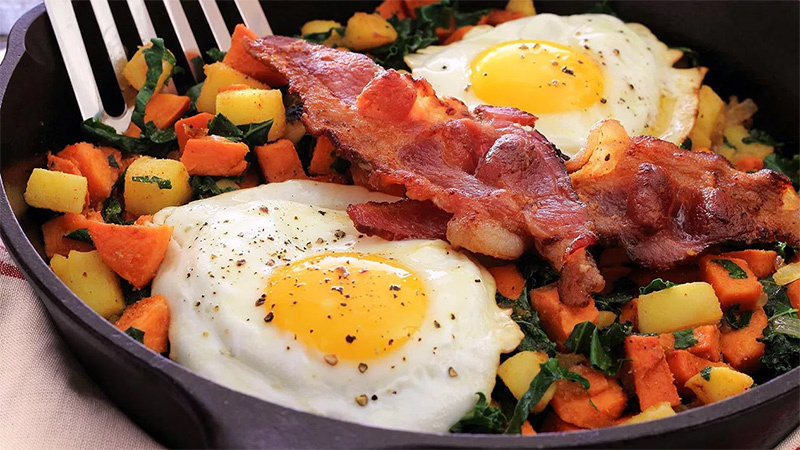 This breakfast skillet makes for a great snack any time of the day, because it’s unbelievably easy and packed with flavour. Just peel and chop your potato and apples, dice up an onion and voila – your meal prep is done. Just throw it all in a skillet with some fried eggs, and you’ve got yourself a tasty, filling breakfast with plenty of leftovers. 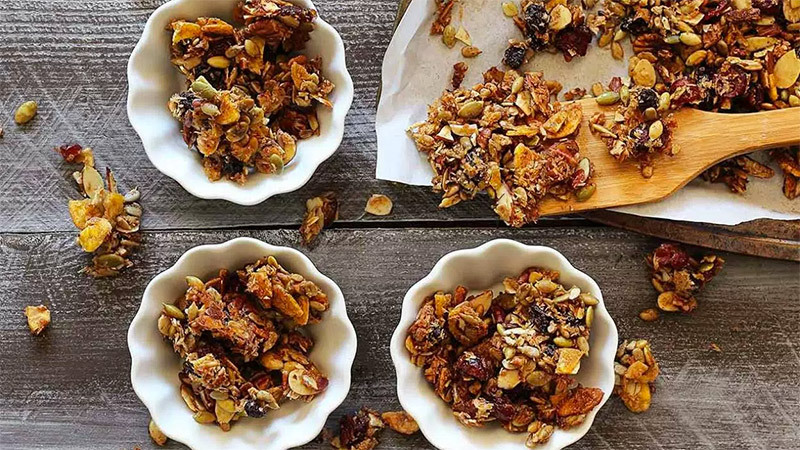 Making paleo granola from scratch is easier than you would expect. This autumn-inspired recipe can be enjoyed any time of the year, and combines pumpkin seeds, almonds, pecans, sunflower seeds, plantain chips, shredded coconut and dried cranberries. Feel free to add any of your favourite nuts or dried fruits to this recipe to make it your own. 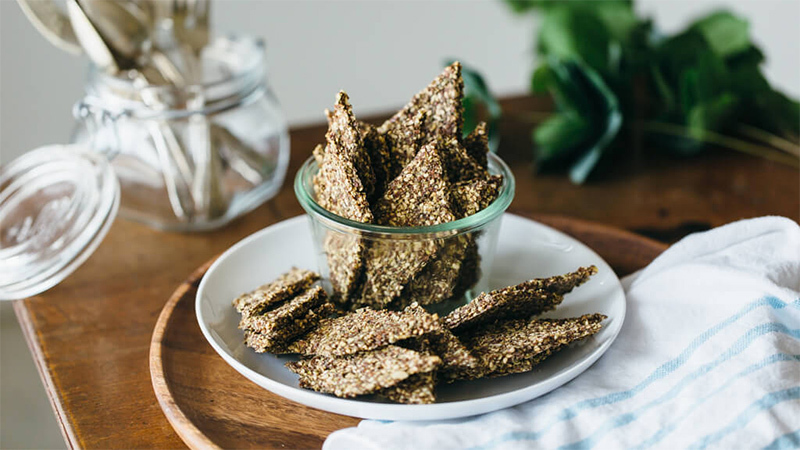 It’s tough to make crackers that are Paleo approved, but this seed-based recipe manages to pull it off flawlessly. These seed crackers are made from four different seeds – flaxseed, pumpkin seed, sesame seed and chia seed. And salt and water, and that’s it! (No, really, it’s that simple). Enjoy with your favourite nut butter or Paleo-approved tapenade. Kale is packed with fibre, is low in fat and loaded with crucial vitamins and nutrients. Feel free to top with whatever you may like; onion salt, parmesan cheese and dill are all delicious as toppings. The best part is you can eat the whole batch! Enjoy the salty crispiness with none of the added guilt. Get the recipe here. Instead of baking regular, starchy potatoes, use Paleo-approved sweet potatoes for a simple “fried” snack. 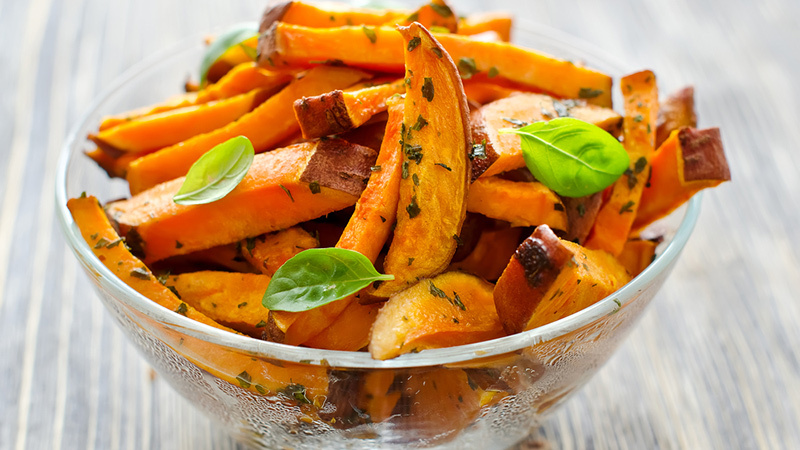 Cut sweet potatoes into wedges or slivers and lightly coat with olive oil. Add seasoning if you desire. Bake at 425 degrees for 45 minutes or until sweet potatoes are crispy on the outside. Mmm! Avocados are creamy, rich and loaded with healthy fats. 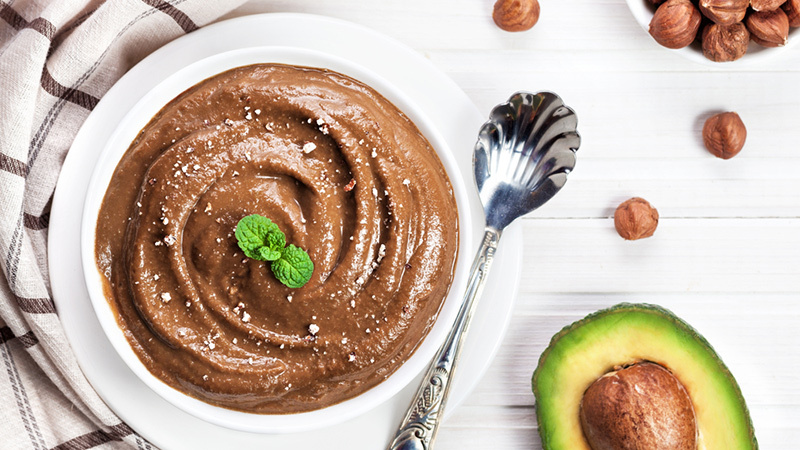 They’re the perfect base to this paleo chocolate pudding that won’t leave you feeling guilty or give you a sugar high (the sugars are all natural); plus, the high (good!) fat content will help keep your blood sugar levels stable and fill you up, making you less likely to over-snack.